« Video: Do You Know Where Your Children Are? 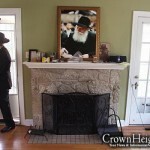 For six years, Rabbi Avraham and Channy Lapine have been renting a house on Brandon Road in Columbia, MO. This past week they finalized a deal on the same house. 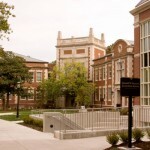 The Chabad at the University of Missouri, alternatively known as “Mizzou,” features a vibrant student life in addition to its activities in the Mid-Missouri area. 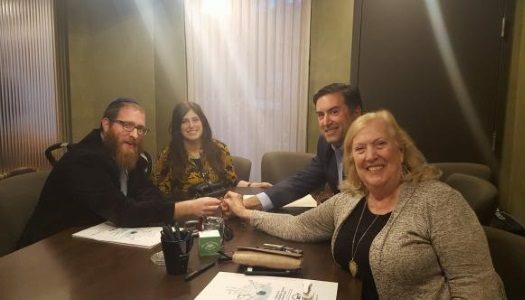 The couple is excited to continue to host holiday programs and Shabbat dinners on their newly purchased campus. 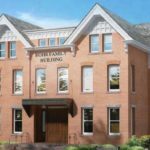 The details were finalized this past Thursday, November 30, when the Lapines were presented with a key to their new center. Keep building and bringing yiddin closer till the geula shalima!! MAZEL TOV MAZEL TOV RABBI Lapine..
whats the contact information to be able to donate?